As summer gradually comes to its inevitable close, the Sun slowly drifting lower on the horizon, a sense of urgency fills the air. This instinctive and unconscious impulse motivates us to gather necessities for the autumnal season, the fall of the Sun, as he prepares for his equally inevitable demise at winter solstice. The playfulness of Leo, consumed by its carefree idealism was quickly extinguished giving way to Virgo, who seeks more practical applications for its efforts. This isn’t to say that all the fun is over, but surely the atmosphere of playfulness no longer lingers as it once did, for this is the reality that the virgin brings forth, and it is likely to play a role in your life as of now. Whatever you’ve been putting off lately, can no longer wait, as it seems that the time has come to face up to the truth of the moment, whether good or bad. The Virgin’s season allows us to assimilate all that we have, to make sense of the chaos life often throws our way. We have to take the time, every now and then, to organize our lives, and sometimes that means getting rid of what is no longer useful. Beyond the attachment we may feel for it, there is a matter of survival we must attend to, and what is no longer conducive for our path should be readily discarded. The archetypal impulse of Virgo is rather active this September, and astrologically speaking this is likely to be a month to remember. Let us decipher its message and be wise. Roughly every three months the planet Mercury turns retrograde, that is, it appears to be moving backwards through the zodiacal backdrop. The backwards movement is, of course, an optical illusion, but astrologically it has profound implications for our lives. This is often that cyclic three week period of nagging irritations, when things, well…. don’t quite work out the way we wanted them to. Several aversions, technological or dealing with communications, often arise bringing either complications or compromise. Technical failures or breakdowns are things we often have to deal with, and Mercury retrograde is annoyingly that time. Excessive roadblocks, construction, detours, car problems, burnt out light bulbs, jury duty notices, computer crashes and miscommunications are usually the result. This is nothing to panic over but definitely a reason to take heed and pay attention. Appropriately fitting for the Virgin’s season, this is the time to take care of whatever we’ve putting off, as it will likely force us to otherwise. Interestingly, if your powers of discernment are sharp enough, you will notice that whatever breaks down or whatever situation doesn’t move in the direction you wanted; there is a reason for it. The fact of the matter is that mercury’s retrograde period offers us an opportunity to go back over what we may have overlooked in our zealousness to move forward. The linear flow of time is inverted, offering us a brief moment from which we can backtrack and find what we’ve likely missed. If you can be open minded enough to look, you will find something terribly beneficial to your current state of affairs, and if it weren’t for that nagging irritation you would have missed it all together. If you so choose to fight the current, several more problems will likely result, so the advice, for the time being, is to go with the flow. You’ll be glad you did. Often it can be difficult to push forward with plans, projects, or objectives you’ve had sitting on the back burner. Mercury retrograde certainly signals a time where you should worry less about executing something and more about sifting through the details and making sure everything is in place. If you can, try not to move forward with anything of crucial importance, as it will likely fail or run into some serious obstacles along the way. Take this time to relax a bit, think things over, and when Mercury turns direct you’ll be more than ready for success. Be very clear in your communications with others, as it is VERY easy to be misunderstood at this time. Vagueness will get you into considerable trouble, so be firm and direct when giving directions to someone or in attempting to convey important messages and information. Overall, Mercury retrograde provides us a unique opportunity to see things from another perspective, which is usually, contrary to what we’re used to. If you can put your ego aside, allow whatever is foreign, strange, or unknown present itself to you, as it will likely be of much assistance in the future to come. The shadow period of mercury retrograde is the time in which Mercury passes through the area of the zodiac that it will retrograde (or move backwards) within. This happens right before Mercury turns retrograde, and seems to foreshadow the things with which we will be reevaluating or adjusting over the next three weeks. Events, issues, or circumstances that manifest within the shadow are things that are often lacking detail or that we have yet to fully pin down, and will be scrutinized throughout the retrograde period. There are in fact, two shadow periods, one before and one after the actual retrograde. The first shadow period began on August 17, 2009 up to Mercury’s stationary retrograde on September 6, 2009; so pay close attention to collective events, as well as personal events or issues in your own life that manifested around this time. The second shadow period will take place from the end of the retrograde on September 29th to October 15, 2009. The final shadow period is the time in which we tie up all the loose ends, finish up whatever it is we have been examining, and prepare ourselves to implement or come to conclusions about matters previously unresolved. The final shadow is the finalization of the retrogradation process. Mercury’s retrograde period crosses through some tough territory this time around, and there is certain to be some sticky situations you would rather avoid like the plague for the next few weeks. Considering the archetypal nature of Juno, dealing foremost with partnerships, there is likely to be an excess of relationship/partnership disputes radiating collectively through this vivid archetypal construct. This will manifest in waves, the first of which occurred around August 25th, which in a sense, ignited the collective drama. Whatever manifested around this time is most likely, unfinished, given the nature of mercury retrograde. 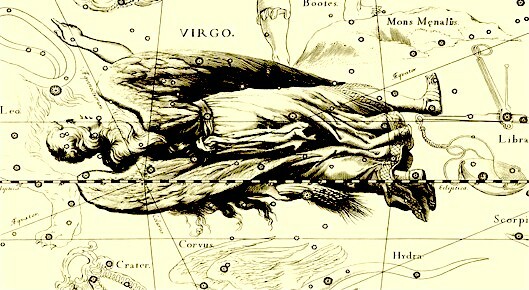 This dominant t-square, amplified by its cardinal positions is creating some major tension between opposites (Mercury opposition Juno), which is most likely connected with relationships, and predominately, ones that have lasted a considerable amount of time (Pluto in Capricorn). If you’ve been swept up by this archetypal impulse, it may be wise to hold off on coming to a decisive conclusion regarding the situation as of yet, there may be some things you need to think over, and mercury is giving the perfect opportunity to do so. Hold off on making hasty decisions, be VERY careful about what you say, especially in heated arguments, and take some time to examine the situation further over the next three weeks. If you aren’t in a serious relationship at this time, this could manifest between a friend, family member, or close associate of some kind. The best way to handle tense oppositions is to try and find middle ground, or if possible, a compromise of some kind. Another manifestation of this construct is either you or someone else enforcing their viewpoint or perspective onto one another. This energy is happening on personal level, as well as a collective/cultural level. Be very wary of anyone who tries to force or indoctrinate his or her beliefs upon you, especially without giving you a chance to share your own opinion of the matter. Given the power of Pluto, and it’s position in Capricorn, this could manifest as a dominant authority figure, whom you may initially give respect simply due to their status. If YOU find yourself in this role, be sure to catch yourself in the act, and give the other person a chance to share their own perspective, this will help you avoid considerable confrontation, hurt feelings, or misgivings later on. Mercury will retrograde through both the signs of Virgo and Libra, spending slightly more time in Virgo. The barrier between Virgo and Libra has a powerful symbolic meaning, as it is the division between the upper and lower hemispheres of the zodiac, the gateway between the inner self and the outer world. This is the point of assemblage and integration, where the self meets the other. Virgo represents the accumulation and compartmentalization of the subjective human experience, our hidden and interpersonal self. The signs Aries, Taurus, Gemini, Cancer, Leo, and Virgo all lie below the celestial horizon, and each correlates to experiences that are fundamentally our own, within our very immediate and personal environment. The signs Libra, Scorpio, Sagittarius, Capricorn, Aquarius, and Pisces, all represent experiences of the outer world, the transcendence of self, reaching outward to the experience of others. Therefore, the cusp of Virgo and Libra, or the anaretic transition, represents the threshold between these two very different realities, where the individual is ready to integrate with others after it has mastered itself. From a mystical standpoint, the transition between Virgo and Libra is the point of enlightenment, when we have finally achieved mastery over the physical self, where we finally…. get it right, so to speak. This theme should be very prevalent over the next three weeks, as Mercury retrograde asks us to get something right, to finally overcome a particular obstacle that has been thrown in our pathway. However this manifests for you, it is likely you have been working on it for quite some time, and you are about to put the finishing touches upon it. Look closely at your life, and you will probably realize that a breakthrough of some kind is upon you; you are about to reach some form of stability out what was once a chaotic and fragmented state of affairs. To further understand this theme, we must look to Virgo’s companion within the Tarot deck, which is represented by the Hermit card. The Hermit is largely based on the ancient greek philosopher Diogenes of Sinope, also known as Diogenes the Cynic, who lived from 412 BC to 323 BC. According to legend, Diogenes was said to have wandered aimlessly carrying a lantern, particularly in broad daylight. When he was finally inquired about the act, he supposedly said he was “searching for an honest man”, which was apparently, a hard thing to find. Diogenes spent his life in poverty, rejecting any inclusion within what would have been deemed modern society, as he saw it as corrupt and distracting. Diogenes was a follower of the cynics, which was a philosophical doctrine encouraging one to live outside the luxuries of society, self sufficiently and symbiotically within nature…to lead a more natural life in an attempt to gain complete individuation free of sociological pressures and or expectations. The cynics mostly lived as outcasts, which is where we get the semi-disparaging adjective to be cynical, although, it is said that Diogenes in particular was well liked among the people of Athens. The Hermit, like Diogenes, lives on the fringes of society, rejecting the comforts and luxury of modern life. The path of the Hermit is no easy task, for it is a path of self-discovery, something that is truly lost in our world today. It is said that before we can truly love another, we must learn to love ourselves, and this is what the Hermit’s true teaching embodies. Carrying his lantern, he lights the way into the subconscious, the deeper reaches of the psyche to uncover the true nature, the true being, outside of society’s expectations of what one “should” be, act, or do with one’s life. When the time comes, when one is ready to question the deeper meaning of life, the answers to such questions do not lie in the outside world or within another person, they essentially come from within us. The hermit’s path is one we must walk alone, when we are ready. We can equate the barrier between Virgo and Libra as the zodiacal embodiment of this symbol, as Mercury makes its way back into Virgo, a collective surge to withdraw, to walk away from something, or to go in a new and uncharted direction is prevalent. Conversely, if you’ve been on this inner path, perhaps the time has for you to come out of the cave, to finally integrate yourself and your knowledge with others. Whichever end of the spectrum you occupy, we each have an opportunity to activate this archetype within our own lives, but with all things…. the choice is ours. The Hermit is card number 9 in the tarot deck, a number that in numerology correlates to completion, perfection, self-mastery, and the conclusion of an important matter, task, or idea. Perhaps it is rather fitting that Mercury’s retrograde period falls completely within the month of September, the 9th month of the year. Even the figure of the Hermit, on the traditional Rider-Waite version, is suggestive of the number 9. The Saturn/Uranus opposition was first ignited on Election Day, November 4, 2008, correlating collectively to a campaign of “change”. The second wave manifested on February 05, 2009, and the third, of five exact oppositions, manifests on September 15, 2009. Saturn represents everything status quo, traditional, predictable, and essentially structural. The planet Uranus symbolizes everything catalytic, counter cultural, unpredictable, and unconventional. When the two collide, it signals a massive power struggle between the old and the new. The archetypal emphasis of the opposition, like all things astrological, is manifesting on a grand collective scale as well as an inner personal or subjective level. Each of us is experiencing this dynamic within our own lives, a process that will carry us through to next year and slightly beyond. The opposition is urging us to each let go of something that has, again, outlived its usefulness. If we fail to do so, it is unlikely we will be very happy with the consequences, no matter how difficult it is move forward. Look to your own life and see what is deteriorating, decaying, and no longer living up to it’s former glory, whether it be a relationship, job, living situation, or perhaps a certain ideal or goal. The past is no longer what it was, and looking back will only lead to stagnation…. it is only the future we have to look forward to at this point, no matter how uncertain it may be. The process of change is, usually, rather painful, but in the end it always leads us greater things and new horizons. The New Moon on September 18th is rather striking, astrologically, as it exactly conjoins Saturn at 25 degrees of Virgo, and joining the opposition to Uranus. The lunar cycle is the cycle of manifestation, it is how each of us creates our own reality via the law of attraction, whether we’re conscious of it or not. The new moon is the time for planting seeds, and for us, setting our intentions so that they can culminate on the Full Moon. Be very, VERY careful of your intentions for the New Moon on September 18th as they have the potential to rapidly crystallize and culminate via structural Saturn. The energy surrounding this new moon may not feel so pleasant, considering Saturn’s harsh and cold demeanor, but you must place emphasis on manifesting what YOU really want, not what someone else wants or has lead you to believe you want. Take this time to reflect on the kind of change you really need to bring into your life and into the world, focus on it, visualize it, and then let it go. The outer world is only a reflection of ourselves, and when we alter the internal, we change the world, not the other way around. The asteroid Pallas also conjoins the new moon; there is an emphasis on solving problems and putting pieces together. Mercury has backtracked into Virgo, placed exactly at the anaretic degree, and exactly opposite Juno in at the 29th degree of Pisces. Take some time out to yourself, like the Hermit, like Diogenes, and reflect on yourself, your life direction, and listen carefully to your inner guidance. There are bound to be several distractions, many of which will stem from mainstream society, but you must try your best to ignore them, and look within.